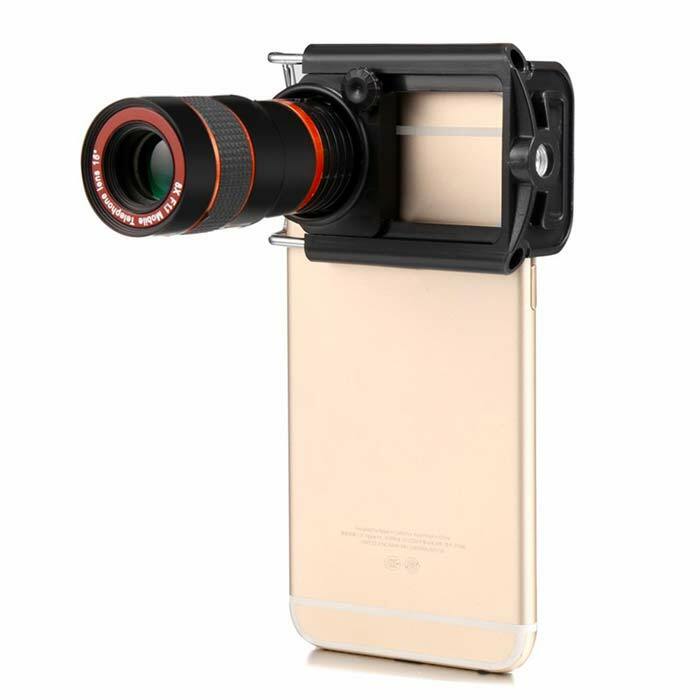 The 8X Zoom Lens 3.0 comes with a universal lens adapter that fits around any phone. The adapter is small and you can certainly keep it in your pocket all the time. When you want to attach the lens, just remove the protective caps from both sides of the lens and screw it into the adapter. and BOOM! You are ready to capture far away lands… Now, whatever pictures you take are zoomed in eight times. It can also blur background with its manual focus feature, just like a DSLR camera, isn’t that great! 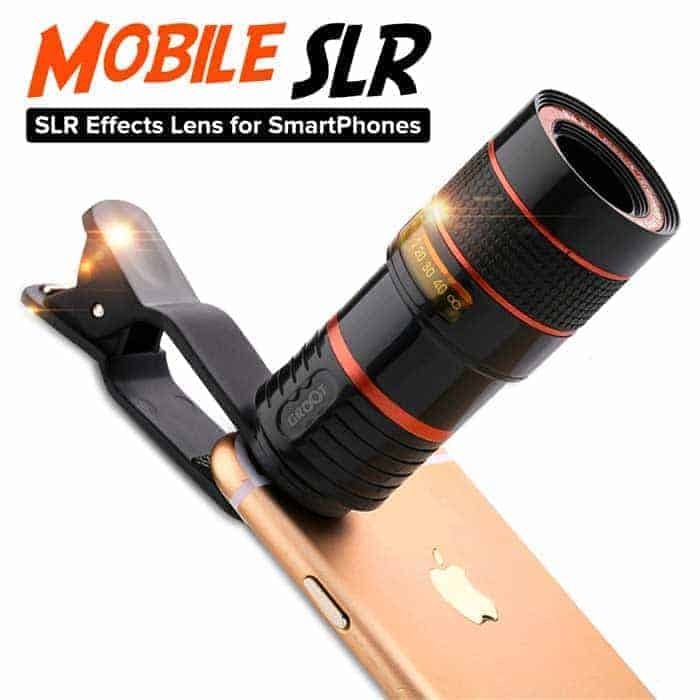 That is why we call it a Mobile DSLR Lens. Whenever you use any zoom lens on any camera, you need to be especially careful about shaking the lens, so we use a mini tripod (optional accessory) when using the 8X Zoom Lens. The tripod props up your phone about five inches, and holds it very steady, whether or not you are using this 8X Zoom Lens. You can use the tripod in either the portrait or landscape mode. A microfiber cloth is included to wipe the lenses perfectly clean. 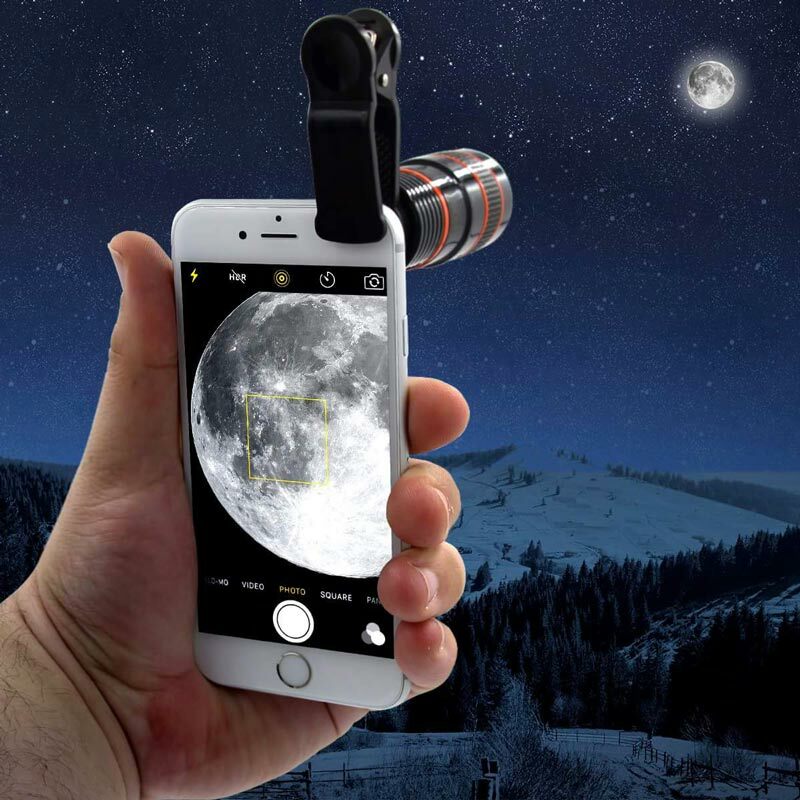 This entry was posted in Awesome Gadgets and tagged 8x zoom lens, iphone lens, mobile lens, mobile telescope lens, mobile zoom lens, optical zoom lens, telephoto lens, zoom lens. Essential Phone : Is it The iPhone killer?